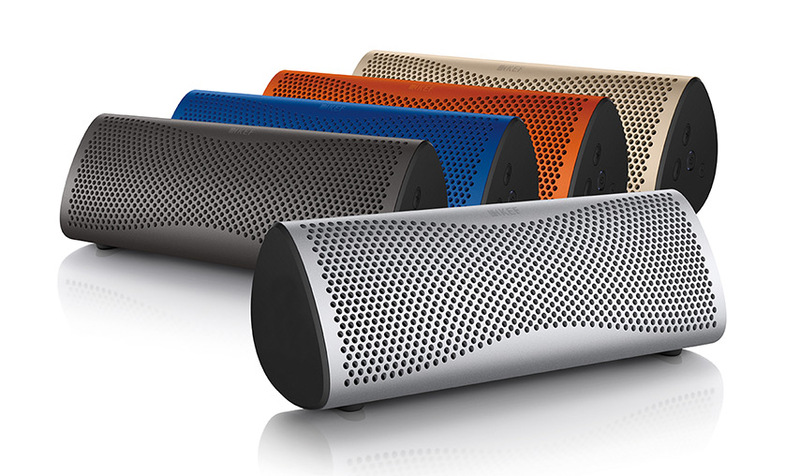 They were recently awarded ‘Best portable wireless speaker over £200’ at this year’s What HiFi? Awards, but what’s so great about the KEF MUO? 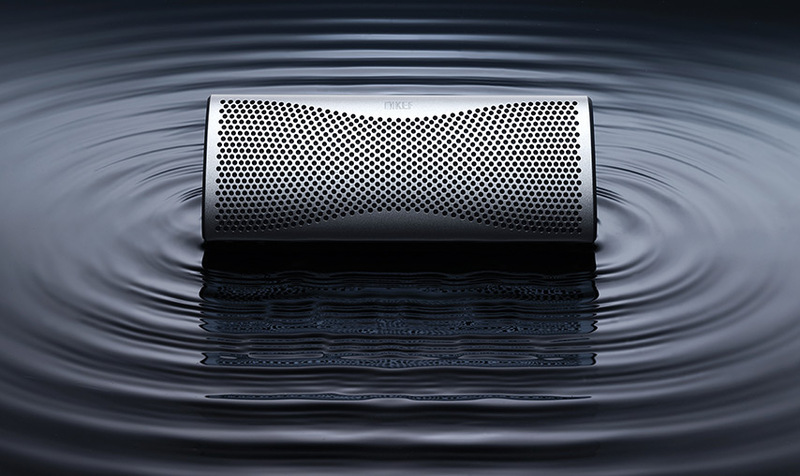 Crafted by industrial designer Ross Lovegrove, the KEF MUO is encased in an aluminium outershell with soft rubber feet that have been optimally positioned to allow the MUO to be placed at the right angle during desktop use. KEF believes that this type of structure is ideal for eliminating unwanted vibrations, paving the way for rich, natural sound. According to KEF, ordinary portable speakers have small drivers that inevitably sacrifice bass extension and frequency dispersion. To combat this, KEF’S engineers developed a miniature version of the legendary Uni-Q ‘point source’ driver array. As explained on their website, with the central tweeter dome decoupled from the outer cone by a flexible membrane, the whole diaphragm is free to pump out midrange frequencies as powerfully as a conventional driver while allowing the tweeter dome to move independently. This gives MUO the ability to reproduce the higher registers with pinpoint accuracy. The MF cone is profiled to act as a waveguide for the tweeter, further widening the soundstage to fill the room with full-bodied, stunningly clear sound. MUO also features an innovative long throw auxiliary bass radiator that’s been cleverly engineered to maintain its rigidity over the entire surface so as to deliver the tight, clean and generous bass extension you’d expect from a much larger speaker. KEF’S MUO speakers can also be wirelessly synced together via Bluetooth aptX®, allowing you to stream CD-like quality stereo. When placed far apart – for a party or a social gathering -you can select the ‘dual-connect’ party mode to replicate the same full-range response in each speaker. This means that everybody at your event gets the full benefit of the music you’re playing. MUO also has an internal sensor that automatically optimises output to suit its orientation. Simply put, it delivers the same outstanding acoustic depth and definition whether it’s standing upright or horizontally. Connection to any computer or mobile device is made easy via the 3.Smm Aux input. With NFC Android mobile devices, you can also benefit from the ‘tap-to-pair’ function – just hold the device against MUO and they’re paired ready to stream your music in seconds. Finally, MUO comes with a rechargeable battery that allows up to 12 hours of play time. Buy the KEF MUO here. Read What Hi.Fi?’s 5 Star review here. Check out KEF’s website here.